Strictly, black holes don't actually lead anywhere, as they are not holes in the common sense of the term. 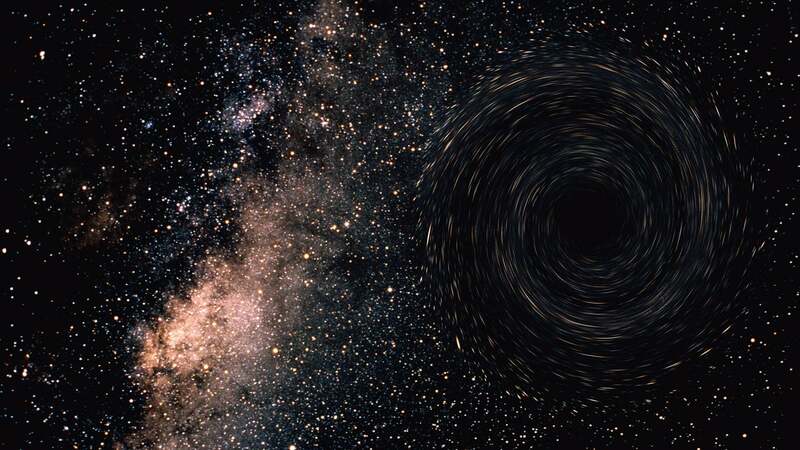 According to the Harvard Smithsonian Center for Astrophysics, black holes are regions of the universe in which matter has become so dense that nothing, not even light, can escape its gravitational pull. Within this volume, the original matter has become so compact that it can fairly be said to have disappeared. Any object in the universe has the potential to become a black hole. All that is required is enough crushing force to reduce the object's volume beyond the point at which its escape velocity exceeds the speed of light in a vacuum, according to the Harvard Smithsonian Center for Astrophysics. In practice, only stars are massive enough to do this naturally, usually after their fuel is exhausted. Once gravity has overcome the star's structural integrity, nothing can stop the collapse until all of the matter trapped inside the black hole has been crushed to a literally infinitesimal point surrounded by an event horizon from which nothing can escape. Matter that crosses the event horizon is permanently lost to the rest of the universe as it will eventually be crushed into the massive infinitely dense singularity at the heart of the black hole. Can a Black Hole Swallow the Earth? What Is the Largest Nebula?